No. 1Door sensor detect the open status of the door or window. If someone open your door or window, alert message will be sent to your smart phone. No. 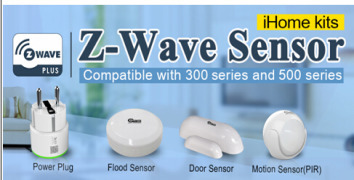 2When PIR motion sensor detect person,it will send push notification and send you alert message to your smart phone too. No. 3When Smoke sensor detect smoke will send alert message too. No. 4SOS for elder people,when they meet trouble,they can press SOS button,will send emergency message to your smart phone,you will check by App through ip camera to see what happen.then will call your friend at home to give help.